While automation is poised to disrupt millions of jobs in Canada, women may be better positioned than men in the labour market of the future, according to a new report from RBC Economics. RBC Economics’ analysis shows women hold more than half of the 35 per cent of Canadian jobs that face an elevated threat from automation. 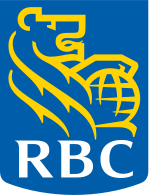 However, RBC Economics’ view is that despite this threat, women are in a better position than their male counterparts to face this disruption. Generalist, digital and social skills – the skills that women currently use to a greater extent – will be in high demand for future roles. “Though many women hold jobs that are at risk of automation, those jobs have allowed them to hone skills that will be in high demand in the future,” said Dawn Desjardins, Vice President and Deputy Chief Economist, RBC Economics. Women hold 54 per cent of the occupations in Canada that face a high degree of risk to be automated – that’s 3.4 million jobs. Over the past five years, occupations in which speaking, active listening, or reading comprehension skills are critical have seen the largest gains. These jobs have grown almost 50 per cent faster than overall employment. One concern remains that women are underrepresented in management. RBC Economics believes smart policies can help women better identify and match their skills to the jobs of the future. Much of the reskilling conversation in Canada has focused on the retraining of workers who fall victim to well publicized plant closures. But many of the jobs that are under threat - and disproportionately held by women - disappear in silence.